A really sturdy and well built boat. Perfect for live aboard and more casual cruising, I certainly wouldn't be worried about taking a vessel of this size on long legs. She has some great original features which I have fallen in love with a bit if I'm honest. The Nav lights are beautiful as are the chunky metal hinges and hand rails, and the windows in the saloon create a really nice light and open space. A very cool boat. She is currently a comfortable live aboard with all the mod cons you would expect in a modern house. She has been used for diving in the past and there is an old dive compressor in the engine room which I would either put in a museum or on display as it is a really interesting piece. I did notice the deck could do with a scrubbing and some parts of the hull could do with cleaning, there is also a side panel that is due to be repaired before sale. 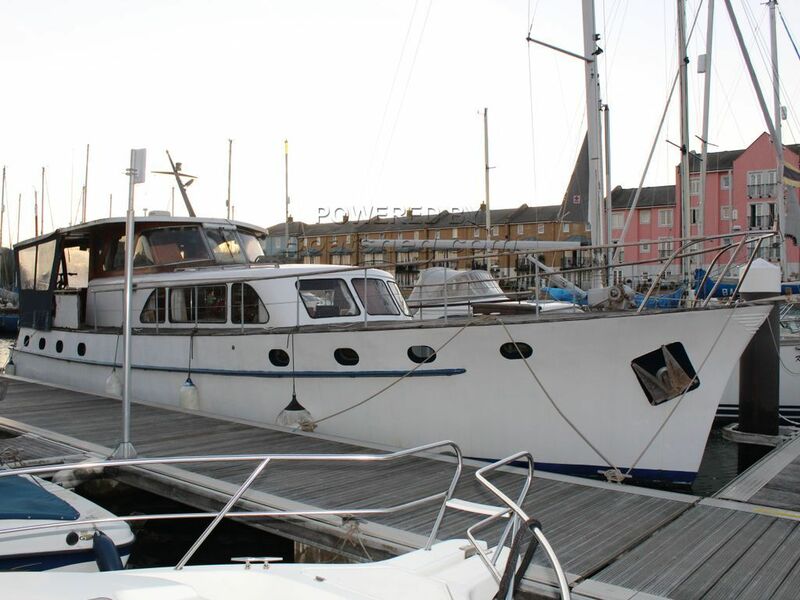 The current owner is selling to move ashore, and the mooring is available. This Dutch Steel Motor Cruiser 48ft has been personally photographed and viewed by Oliver Yates of Boatshed Bristol. Click here for contact details.